Although a steady stream of entries were submitted ahead of the original deadline, in light of our new low-cost pricing structure, we are seeking some more competition submissions to help us to cover our administrative costs. With this in mind we have extended the Open House Poetry Competition deadline until midnight, Sunday 14 April. This decision is NOT a reflection on the quality of poems received so far - we haven’t opened any of the entries yet! See the bottom of this page for details of how to submit. 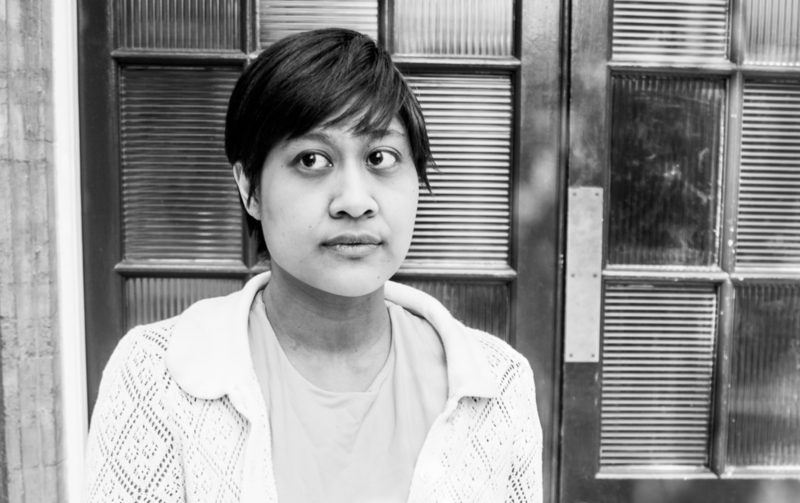 We are thrilled to announce Khairani Barokka as this year’s judge! The three winning poems and seven commended poems will be published on The Interpreter’s House website and also be featured in an Open House Competition pamphlet. Entrants may enter as many poems as they wish, using combinations of the above options. Because we are keen to minimise the environmental impact of all of our endeavours here at the House, we prefer online entries. However, we acknowledge that this route of submission may not be available to all. Accordingly, we do accept postal entries. Decide which poems you want to enter, bearing in mind the following criteria. All poems submitted should be in English, your own original work and previously unpublished. Individual poems must be no longer than 40 lines. Make sure that your name and address do not feature anywhere on your poems. You can find more information in the competition rules. 1. Pay for your competition entry via the PayPal link below. You may enter as many poems as you wish, using combinations of the above options. 2. Email your poems as a WORD document attachment to openhousecompetition@gmail.com. Make sure that your name and address do not feature on your poems. Quote your PayPal Transaction ID in the title of your email. We need this number in order to process your competition entry. In the body of your email, tell us how many poems you are entering and the title of your poems. Please give a phone number or postal address so that, should the need arise, we have an alternative way of contacting you. You will receive an automatic reply acknowledging your entry into the competition. 3. Do NOT send your competition entries to our regular submissions email address as they cannot be processed for the competition from there. 1. You can pay for your postal competition entry via the PayPal links above. However, if this is not possible you can send a cheque with your postal entry, made out for the correct value (see above) and payable to The Interpreter’s House. 2. Poems should be typed or neatly handwritten in black ink on A4 paper. If you are sending multiple poems, new poems should begin on a fresh page. 4. If you would like a receipt for your postal entry, send a small envelope marked receipt, self-addressed and stamped with UK postage, or enclosed with an international reply coupon.